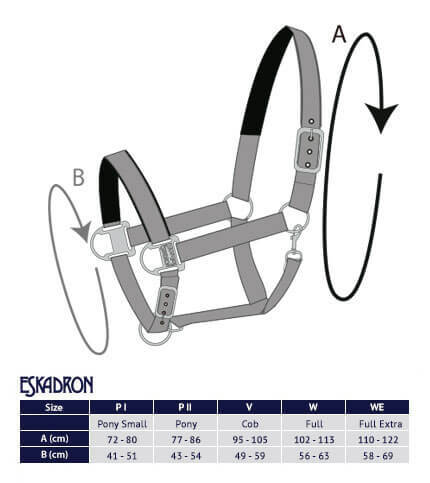 Elegant headcollar from the latest Eskadron Heritage collection. It is made of a durable, smooth and shiny material. 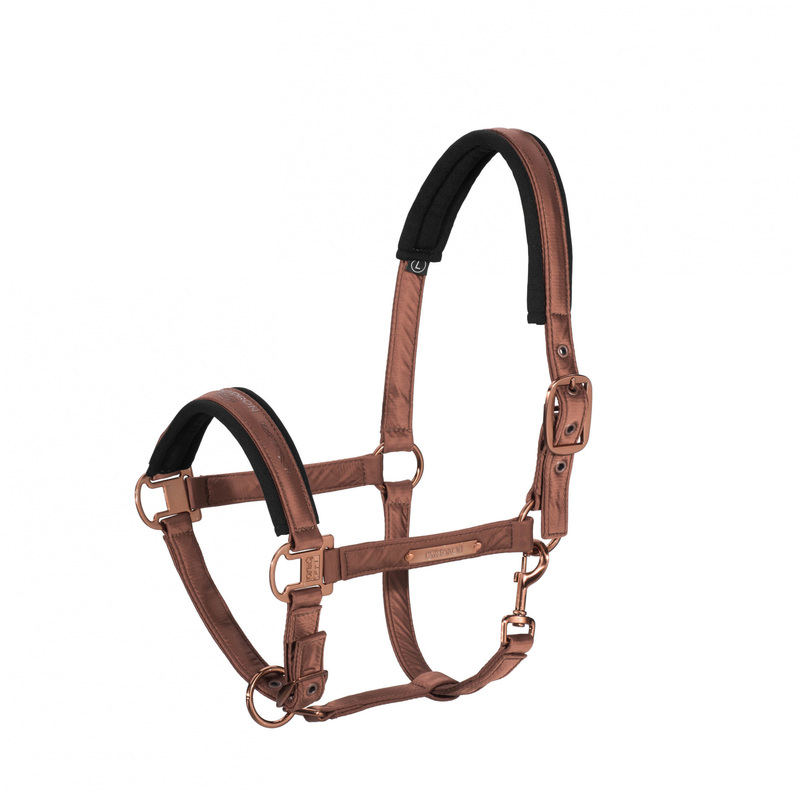 This headcollar is softly lined on the noseband and occiput, which provides comfort and prevents chafing. 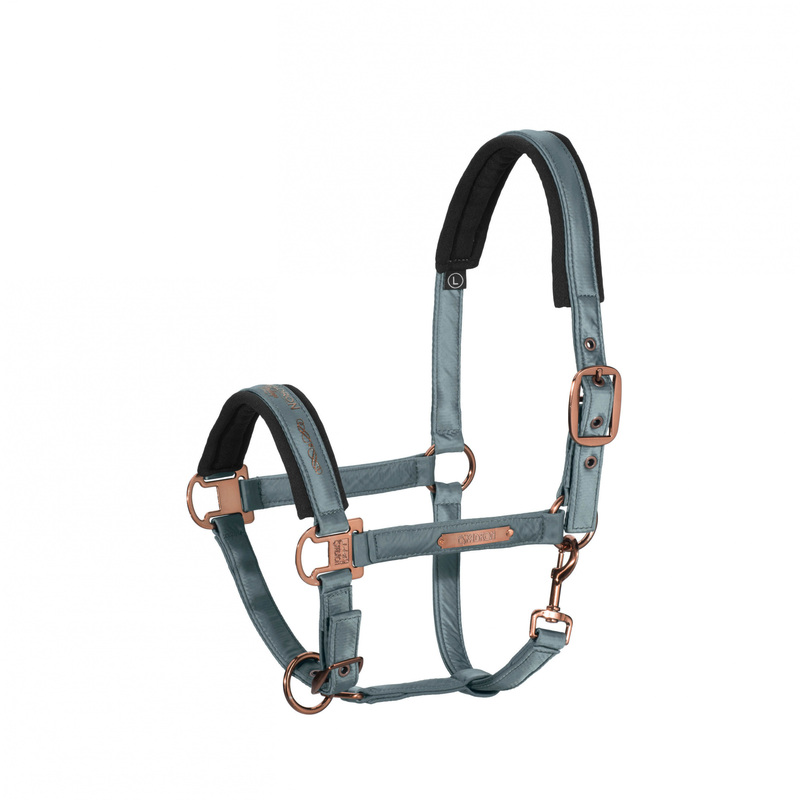 It can be adjusted in two points and is fastened with a carabiner. It is also decorated with an overprint and an emblem plate. 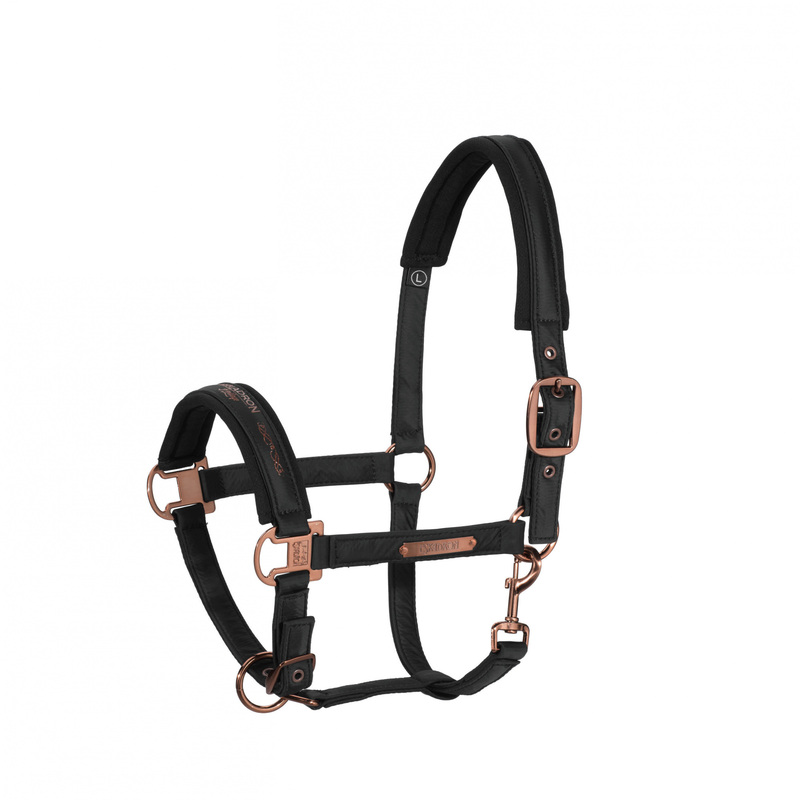 Its fitting is in a fashionable rose gold color.